IEC 61850 makes use of ASCII text, XML, SCL, and comprehensive Information Models. At any level you may find errors. How to figure out, e.g., if a DataSet member references a FCDA that is not available in any Logical Node model? There is a DOType "SPG_0" defined that contains a fc="SP"(bottom). The marked DataSet member FCDA refers to DO "SetPt19" with fc="ST". This reference is not correct - there is no DO "SetPt19" with fc="ST" !! How does a stack react when it has to parse such a wrong model? Hmm! In the meantime I have checked the wrong file with six (well known) IEC 61850 tools - NONE of them complained about this inconsistency. The SystemCorp stack complained, because it was not able to find the referenced object to implement the model! WOW! This example confirms what I always tell people in my courses: Develop your own simple tools for finding errors in the "ASCII Text" - it is just a simple search you need ... I am not saying that the many tools on the market are useless!! No way! But many simple checks could be done with simple tools. Even tool developer may not have a clue what kind of checks would be helpful. In this case it would have been quite easy to check (ASCII search and comparison) all members of all DataSets and check in the Logical Node models if there is a DataObject that matches with the reference in the DataSet. Such a ASCII text search would have resulted in something like: Did not find an fc="ST" for the object "SetPt19". It is that easy! Believe me. My experiences with this and many other issues are one of the core topics in my courses. Click HERE for courses in German in Karlsruhe/Germany. 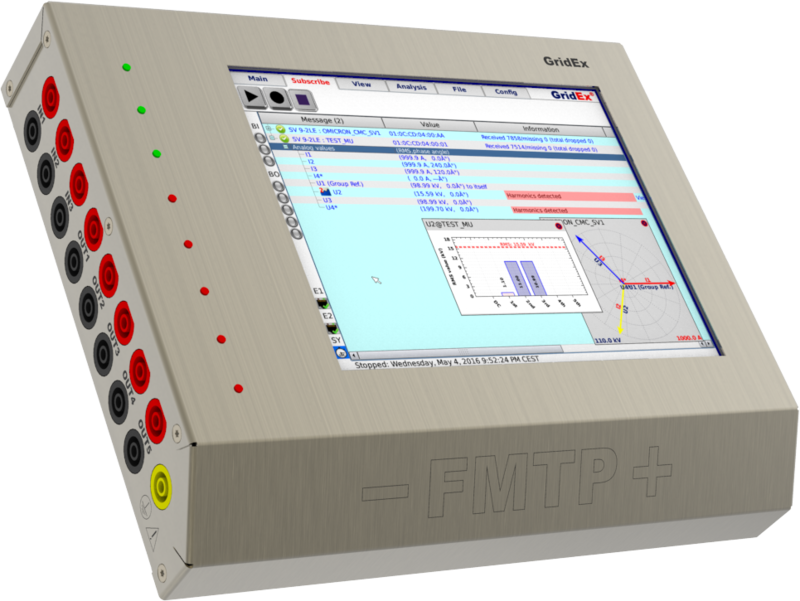 FMTP (From Minus to Plus, Sweden) has gained a lot of positive feedback from experts using the GridEx Tool around the globe. GridEx built-in intelligence based on 30 years combined field experience in Protection Control with IEC 61850. Click HERE for more details on the GridEx. The scope is to specify common available procedures and definitions for conformance and/or interoperability testing of the IEC/TS 62351-5 (Security for IEC 60870-5 and derivatives), the IEC/TS 60870-5-7 and also their recommendations over the IEC 62351-3 for profiles including TCP/IP. These are the security extensions for IEC 60870-5 and derivatives to enable unambiguous and standardised evaluation of IEC/TS 62351-5 and its companion standards protocol implementations. Do you trust the process data you rely on for decisions to be made for many different applications? Hmm! It may be - I hope you could trust the data. "How fake data could lead to failed crops and other woes"
I guess this has been said many times - not yet by everybody. What is most important: You have to do something to protect the data you (or your device) produce - so that the receiver can trust that the data are not FAKE data. I am kidding ... sure. Do you know that IEC 61850 does not define any measure to protect the data while they are on rest or travel? It's true - no crucial definitions on security. This is intended. Click HERE for the source of published parts of IEC 62351. An excellent source of hints in German can be found at GAI NetConsult (Berlin). from product presentations of vendors? Maybe to some extent? 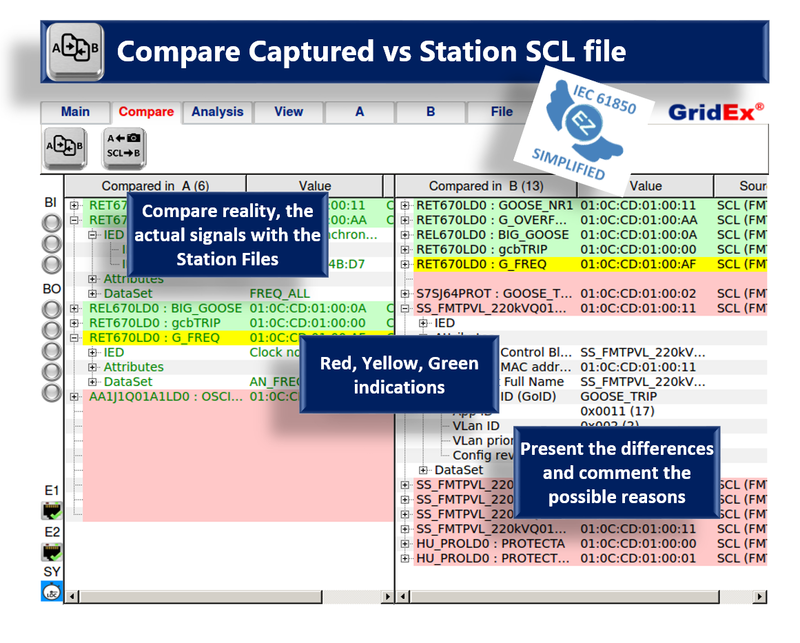 How do people understand and learn what the standard series IEC 61850 really offers to the protection, automation and supervision of energy systems and what this all means for their application (as vendor, user, consultant, ...)? A bit by reading power point presentations and papers ... and listen to presentations ... and to some extent by attending presentations and hands-on exercises conducted by equipment and tool vendors. You need more vendor-independent information and experience from long-term experts like Andrea Bonetti (FMTP) or Karlheinz Schwarz (SCC). Sure, any demonstration or hands-on exercise of any IEC 61850 feature requires products like the great IEDScout of Omicron or ... BUT: the products implement just a fraction of what IEC 61850 is all about. If you want to learn the Philosophy of IEC 61850 and compare it with the many different other approaches like IEC 60870-5-104, or other products, then you need independent information and experience. And finally you need to understand how the product X of vendor A compares to the product Y from vendor B. To meet two of the most experienced experts and discuss with them your needs, doubts and complains, ... please register for the next training courses in Stockholm next week or in Karlsruhe in May. Click HERE for the details of seminars in German. Click HERE for the courses in English. After the education of more than 4,000 attendees I know what people need ... and what they get by vendor-driven "education". You can study these two documents and provide comments. Click HERE for the access (need to register only). XMPP is used here to transport the XML message payloads between IEC 61850 server and client. The main contents of the messages are MMS messages (defined in ASN.1) and encoded with ASN.1 XER (XML encoding rule) - instead of ASN.1 BER (basic encoding rule). Quite interesting. Most of what you have understood of MMS (subset used in IEC 61850-8-1) is applicable for 8-2 as well. Click HERE for an introduction to ASN.1 and a discussion of why we need encoding rules. IEC TC 57 Working Group 10 "Power system IED communication and associated data models" met last week in Geneva (Switzerland) at the IEC central office. Mr. Charles Jacquemart (IEC Technical Officer) presented some very interesting figures about the TC 57 and especially WG 10. The following slides are published here with the permission of Mr. Jacquemart. IEC TC 57 WG 10 is the LARGEST WG in the whole IEC!! You are right, IEC 61850 is one of the most crucial standard series in IEC and also in the market of power systems!